In the last post, I looked at hot spots. 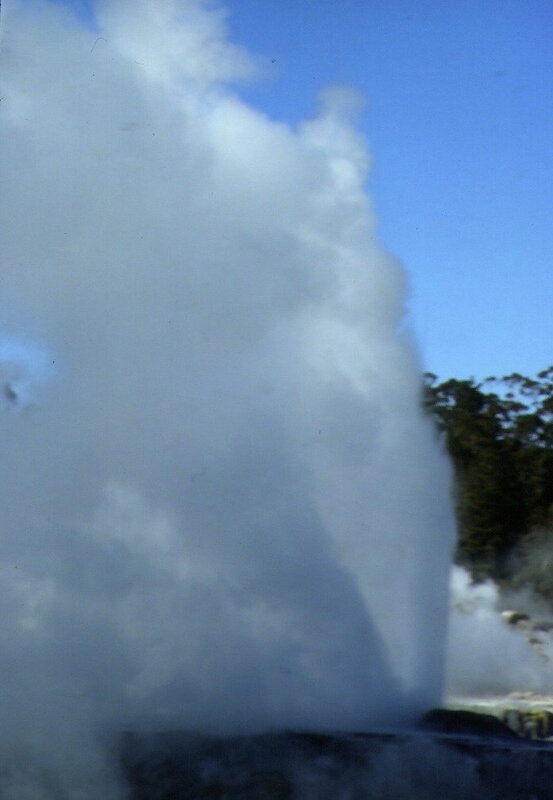 New Zealand's active thermal areas are different to Hawaii. New Zealand lies on the fault line caused by the interaction of the Australian and Pacific plates. 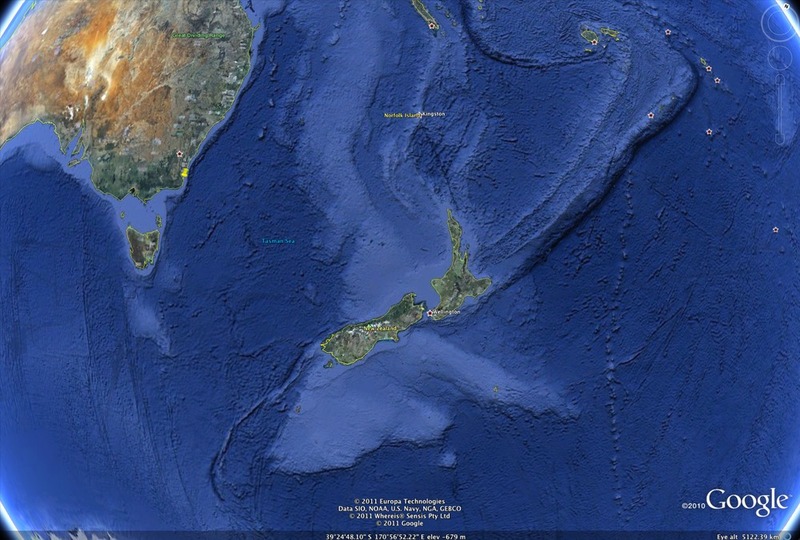 Look at the image below from Google Earth or find New Zealand if you have now installed Google Earth. You can see the fault line to the south-west of New Zealand (bottom left corner). It runs across the South Island of New Zealand then off to the north-east. Tension can build up as the plates move. When the tension is suddenly released, you get earthquakes. Near fault lines, you can find volcanoes and thermal areas such as in the North Island of New Zealand. Below is an old image of Mt Ngauruhoe erupting well before you were all born. I think it was in the early 70s but I don't remember when. Mt Ngauruhoe is what I would call a classic volcanic cone shape and is really a part of the Mt Tongariro volcanic complex. Mt Ngauruhoe is to be found in the Mt Tongariro National Park on the North Island of New Zealand. Mt Tongariro is volcanic complex including Mt Ngauruhoe. 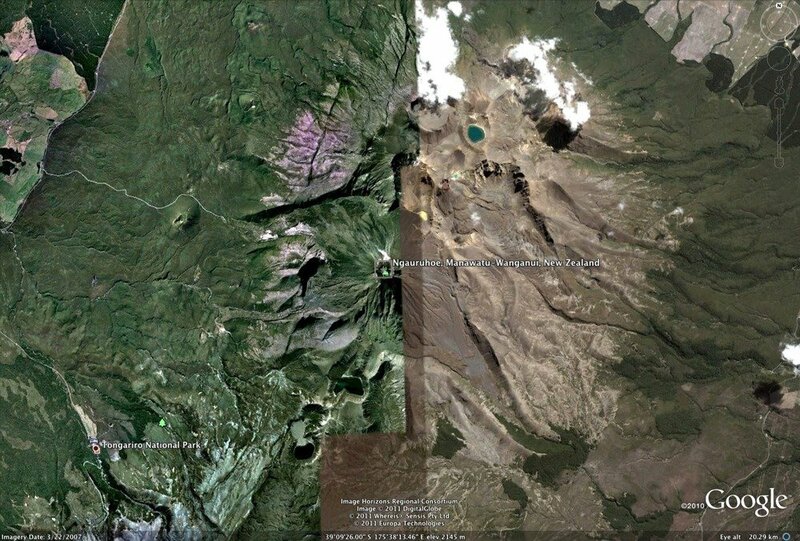 Below is a Google Earth image of the national park. 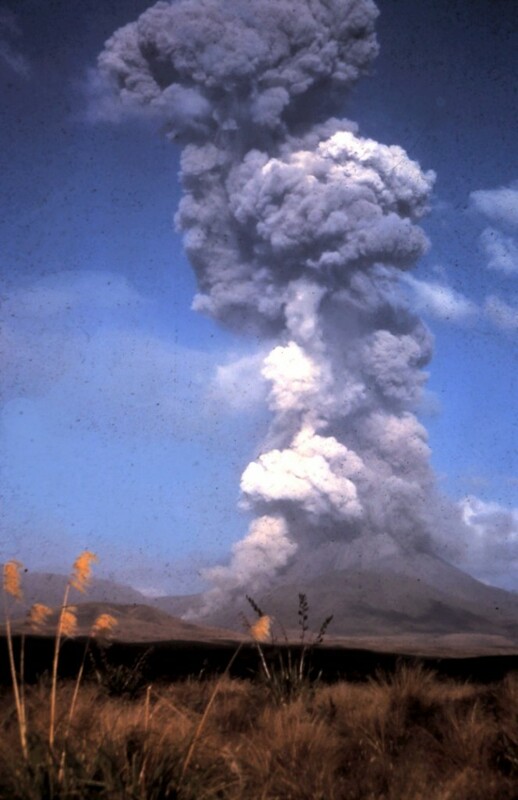 In 1995, I had been in Invercargill at the south end of New Zealand's South Island when I heard Mt Ruapehu (in the Tongariro National Park) was erupting. I wasn't able to book a flight north for a few days because of the dangers the erupting volcanic ash posed for planes. I caught one of the first flights north and went to pick up a rental car. I had to dust off the volcanic ash which had settled on the car before heading to the volcano. On arriving at the national park, I wasn't able to travel too close but was on the lower slopes. It had settled down and was smoking constantly. I took some photos and video clips before leaving. Two days later I heard one person had managed to sneak through the police lines so he could stand on the rim of the volcano to watch the smoking crater. On arriving back down, the man was arrested. Later that day the volcano again became very active. An explosion destroyed the ledge the man had been on. Volcanoes are very dangerous when they are erupting. I always keep my distance when the warnings are out. Below are two video clips I took on the day. The first is the original footage taken some kilometres from the volcano. The second has been accelerated to show the escaping smoke and ash. PLEASE NOTE: The video clips in this post were taken when home video cameras were reasonably new. The quality is poor due to the early camera and the low quality Quicktime movies made back then. This 2nd clip is only a few frames long. Once loaded keep clicking on play to see the movement not easy to see in the first video above. From a distance you can't always see much happening. 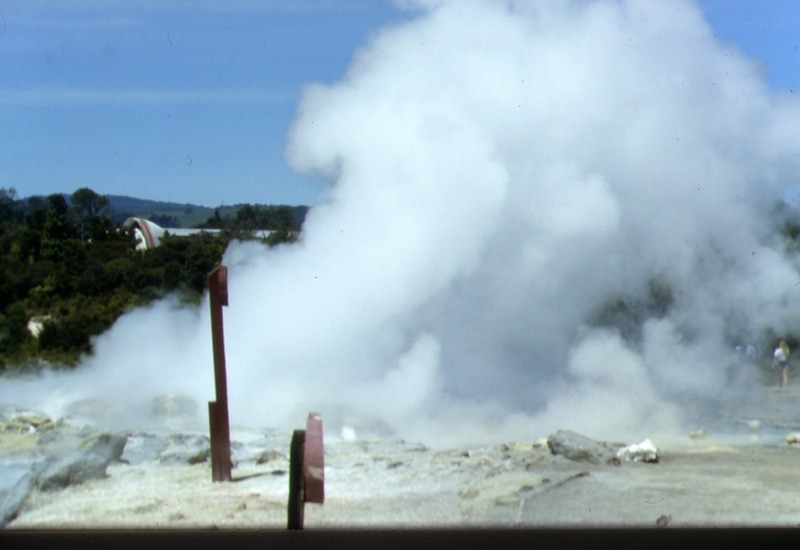 One of the most popular ares of the North Island of New Zealand is Rotorua. 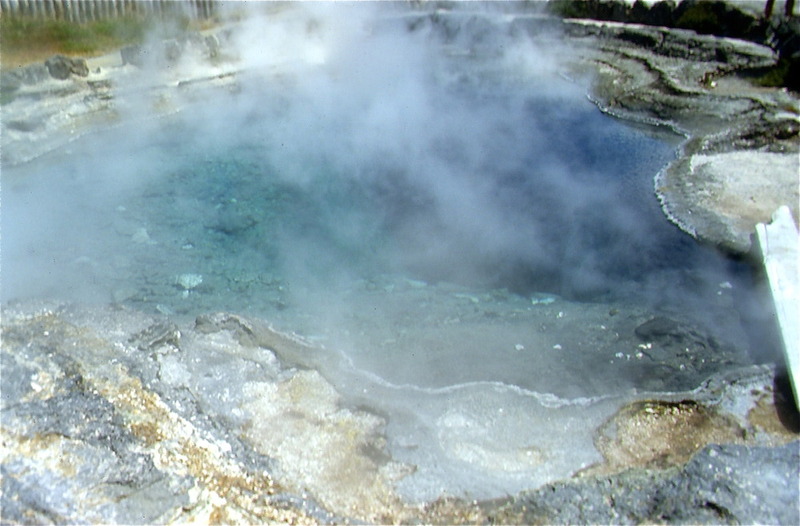 There are numerous thermal areas to visit as well as the nearby Mt Tarawera I mentioned in an earlier post. Here are a few photos. 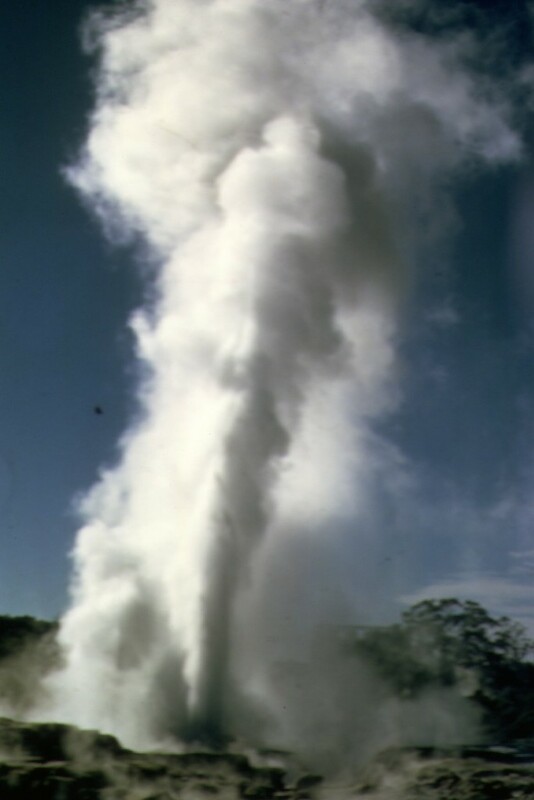 Whakarewarewa is a major tourist attraction in Rotorua. It is owned and run by the Maori people. As well as the thermal areas, there is a cultural centre where students learn the art of wood carving. 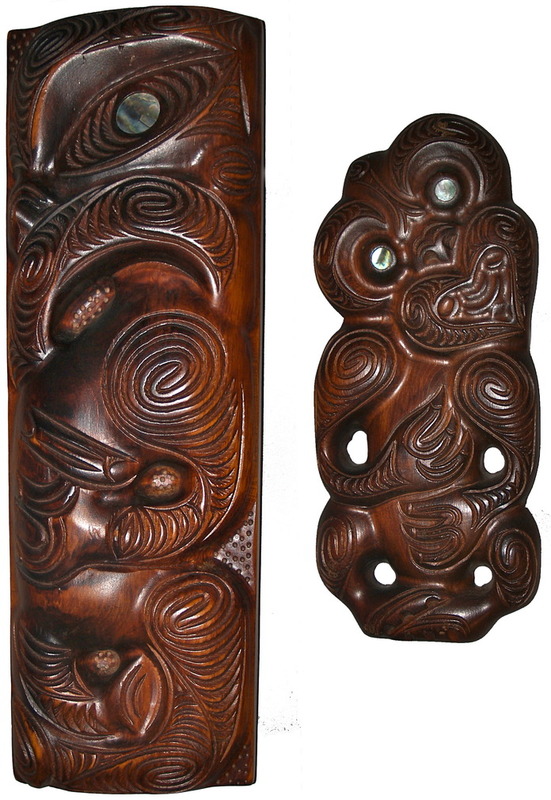 Here are two carvings in my collection. 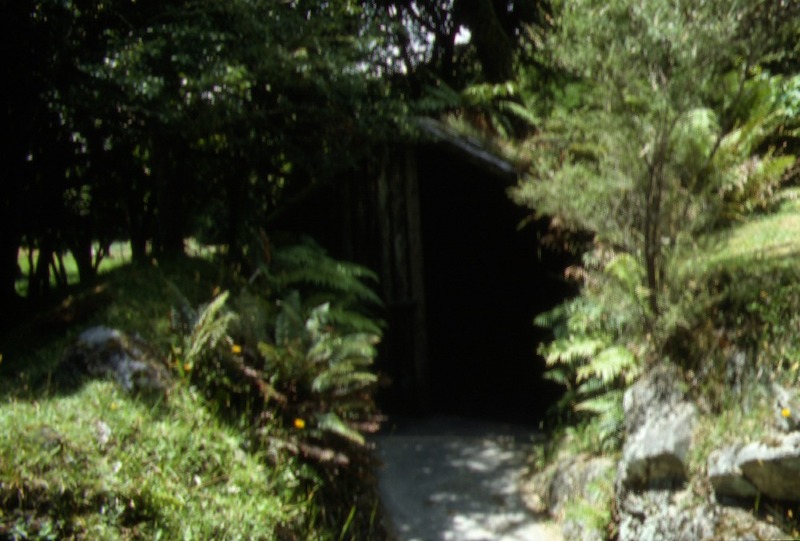 The Buried village of Te Wairoa is near Rotorua. It lies to the west of Mt Tarawera near the shores of Lake Tarawera. You might remember I mentioned the 1886 eruption that made the scree sample I sent you. The village was traditional Maori. On the morning of June 10, 1886, the people of the village were woken by the eruptiing Mt Tarawera. 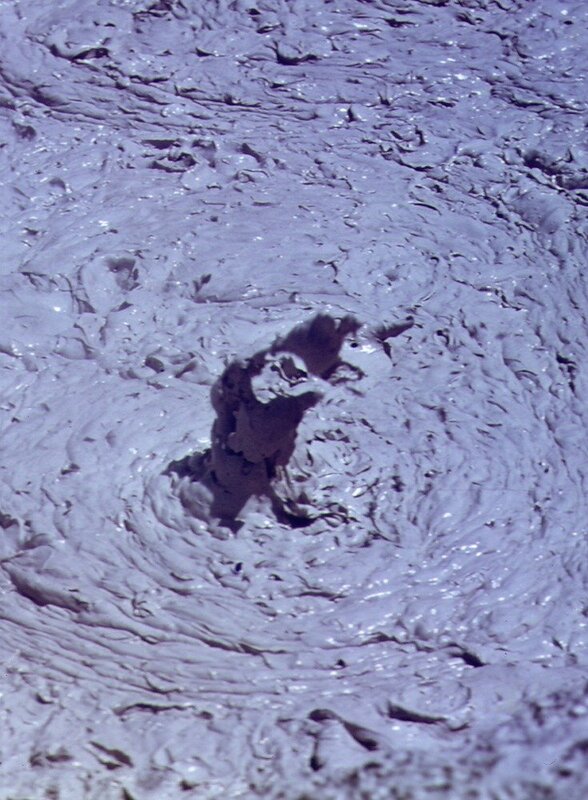 Ash and rock was thrown up into the air by the massive explosion. As the ash fell back to earth, the nearby village was covered. 120 people lost their lives in the eruption, many of them from this village. Below is one of the unearthed structures. Archeologists have uncovered a number of the structures of the village. Posted in Geology, New Zealand, One World, One People, Rocks and Minerals, Volcanoes & Earthquakes on May 23, 2012 by rossmannell.